Liz Flowers has never enjoyed Christmas, but this one is shaping up to be the worst by far. She let her ex take her daughter to Mexico while she stays behind in a strange town, sitting her former mother-in-law’s high strung little dog. It’s an opportunity to meet new people, but this California girl doesn’t have much in common with the ranchers in small town Marietta. Blake Canon perks up with male interest when he sees a new face at his friend’s Christmas cocktail party. His son is away and a light affair would take his mind off his financial troubles. Then he realizes he knows Liz. She was once married to the brother of his ex-wife. 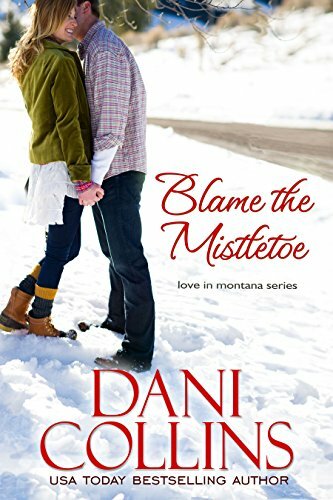 Their children might be cousins, but Blake and Liz do the kissing—under the mistletoe. It’s the beginning of a new view of Christmas for Liz, but when their children arrive home unexpectedly, and family secrets are revealed, Liz isn’t sure she’ll stay in Marietta for Christmas after all.